AF flash Tool is multi flash tool for all type of MTK and Qualcomm based phones having support of latest MTK and QLM CPU's this flash tool is official flash tool of Vivo smart phones easy to used for new user this tool have full support of latest Vivo and other MTK & Qualcomm smart phones we also share on this post all MTK and Qualcomm drivers pack for windows all type of OS (32bit,64bit) first of all install that drivers on your PC and then try to flash or update your phone with AF Tool tool. 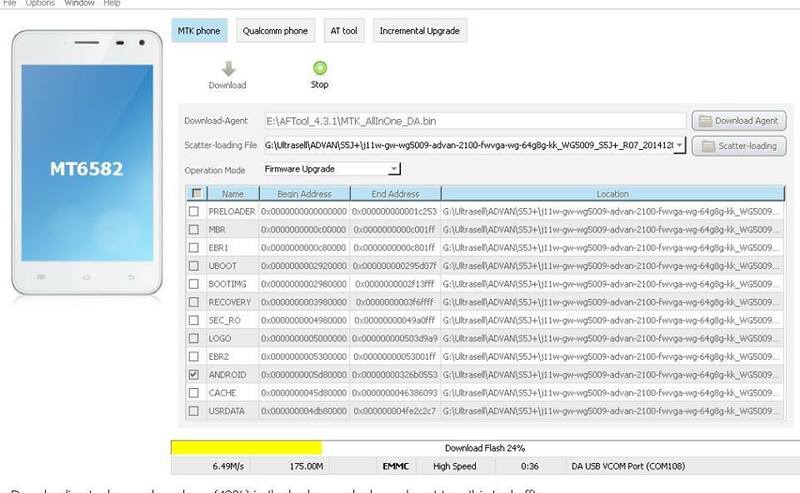 If your user of SP Flash tool then it will be so easy to used just first time when you extract it on your PC and open it then you will see that software language will be chines so you have to change it in to English and then select your region and start flashing or updating of your Vivo or any other chines MTK or Qualcomm based phone or tab. For changing Language on the top bar 2nd there is an option in chines click here and then there is option click here and then a new window will open there are on third there is language option. How to flash MTK OR Qualcomm phone with AF Tool Tool? If your using first time AF Flash tool then change flash tool's language and region. If you want to flash MTK based phone Click on scatter loading and select MT65xx_Android_scatter_emmc text. for Qualcomm users, you will find videos on youtube.